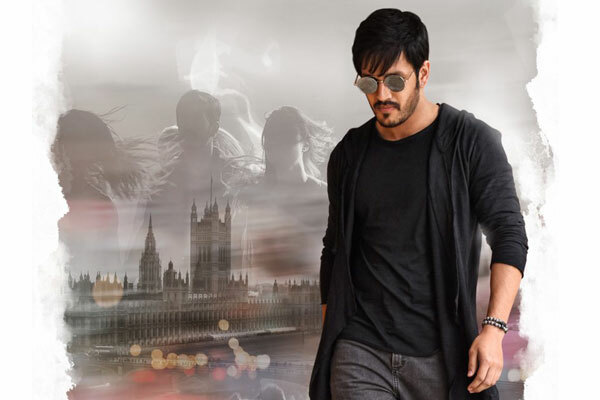 Home Movies Movie Reviews Mr Majnu – Akhil as Casanova Excels , But..
Mr Majnu – Akhil as Casanova Excels , But..
Nikky ( Nidhhi Agerwal) , an NRI Girl in UK, has high expectations about the man she is going to marry. She comes across Vikky ( Akhil ) ,another NRI who is doing Master’s in London. Initially Nikky dislikes Vikky as he is a bigtime flirt and a Casanova. When both travel to India for their cousins’ marriage, she realizes his true side, proposes to him a two month love relationship. Vikky always discourages her saying he’s not suitable match for her, rejects after the 60 day period. Hurt by his words, Nikky returns to UK. After a while, Vikky wants back her in his life and travels to UK to meet her. Rest of the story is about his attempts to convince her, how she reacts to his deeds. 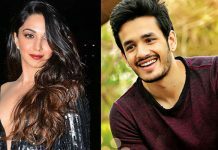 Mr. Majnu takes off in London showcasing Akhil’s flirting talent, with scenes elevating him as a man for whom every girl would drool for. After a peppy introduction song, and few youth appealing scenes the introduction of the hero heroines completes. Story now moves to India and a whole galore of characters from three families are introduced at this point. 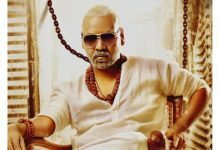 Vikky is the S/O an industrialist Mr. Krishna Prasad (Jaya Prakash) and KP’s younger brother is Shiva Prasad (Rao Ramesh ) , Nagababu plays the role of heroine Nikky’s father. Director quickly establishes the characters and their characterization but due to too many characters in three families combined, it will be a bit confusing initially for audience to get hold of who is who. Movie runs on feel good family films template for a while. Vikky Nikky thread is fresh and chemistry between them worked out. However, couple of forcible sentiment scenes with lengthy dialogues make audience feel uneasy. Other than that minor complaint, first half is good with right emotions and decent chemistry between the lead pair, cool songs. Once the story falls back to UK, novelty that the director bought to the table in the first half goes for toss. Now it is hero’s turn to convince heroine to like him and the whole process is very formulaic – no surprise element in the second half. By introducing Hyper Aadi as ‘piracy pullarao’, who sells piracy telugu films CDs in London, director tries to infuse some comedy but succeeds partially. In first half it was Priya Darshi who tries some lighter moments. With soul being missing, the 2nd half runs flat and predictably. Climax of the film is just okay. Akhil shows his strengths in ease in body language, dancing skills and his styling is very cool. He acted well in regular scenes, but in couple of emotional scenes he couldn’t get the shot right. For a 3 film old youngster, it is absolutely Okay. Heroine Nidhhi Agerwal is cool as urbane girl , adequate for this film. Huge number of seasoned character artistes are roped in as hero heroine’s family members,and as friends. Mr Majnu is an average fare on a whole. 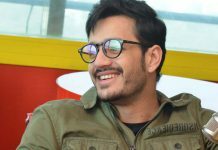 Akhil Akkineni has been succeeded in a role which is apt for his age. Director Venky is able to engage family audience with emotional scenes in first half, passes in setting up the right conflict point towards the Interval, but falls short in conflict resolution in 2nd half. Overall, this film has mix of family and youthful elements, you may give it a try. 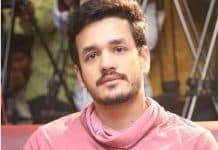 Akhil Akkineni in talks for Bangarraju?